Canada’s Zonte Metals (TSX-V: ZON) has officially sued the mining authority of Colombia’s Department of Antioquia for allegedly not processing the junior explorer’s application in accordance with the country’s mining code. The move comes almost four years after Halifax-based Zonte first spotted — and applied for — a licence to mine an area that sits on top of partners’ AngloGold Ashanti (NYSE: AU) and B2Gold’s (TSX: BTO) Gramalote gold deposit. Zonte wants to explore an area that sits on top of the now halted AngloGold Ashanti and B2Gold’s Gramalote gold project. Shares jumped on the news and were trading 3.23% higher to 3.20 Canadian cents at 11:14AM EST, boosting this year's gains to 2.4 cents. Zonte first announced its plans to sue Colombia’s Department of Antioquia as well as the National Mining Agency last year, but only in February one of the country’s special courts granted it the right to proceed with such lawsuit. Antioquia’s secretary of mines said the area in dispute — which measures less than 30 hectares — is too small to become a mine. It also claimed that Zonte’s application would interfere with AngloGold and B2Gold’s project, which has actually been frozen since 2014. Zonte argues there is no minimum size on land applications specified anywhere in Colombia’s mining code and that there have been several applications accepted where the total area of exploration was significantly smaller, including a recently issued title covering less than 0.1 hectares. It also says that based on Colombia’s mining code, applications are processed on a first in first out basis. Zonte made its application in July 2013, while the AngloGold-B2Gold venture (Gramalote Colombia) submitted it in August 2015. According to the company, Antioquia’s mining authority was processing Gramalote Colombia’s request even though Zonte’s was still active. 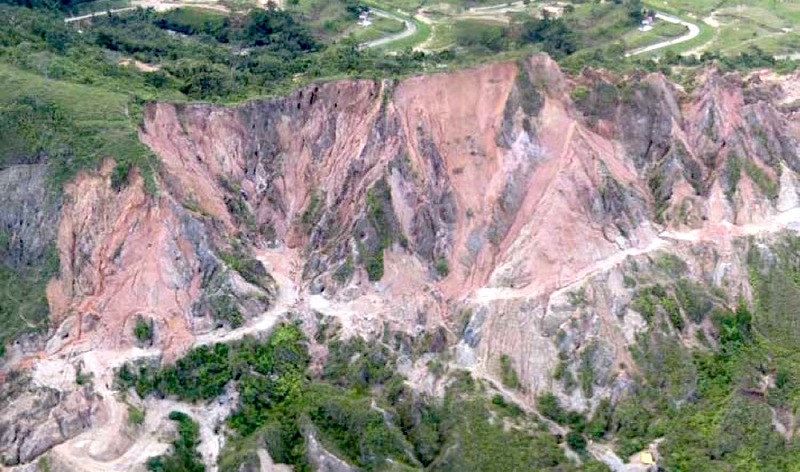 The company has high hopes for its project, as the adjacent Gramalote, located 110km northeast of Medellin, in the department of Antioquia, is said to hold 2.69 million ounces of gold within 132.7 million measured and indicated tonnes grading 0.63 g gold per tonne, and 3.36 million ounces of the precious metal within 239.7 million inferred tonnes grading 0.44 g gold.